The Living Heart model is readily available for use in the study of cardiac defects or diseased states and in exploratory treatment options by modifying its geometry, loading, or electromechanical properties. In addition, medical devices can be inserted into the model to study their influence on cardiac function, validate their efficacy, and predict their reliability under a wide range of operating conditions. 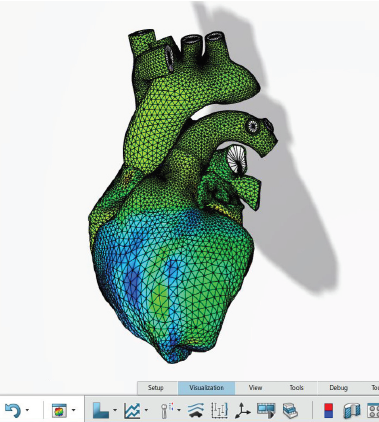 For additional information on the SIMULIA Living Heart Human Model, download the brochure and the tech brief on how to use it to model a stent.